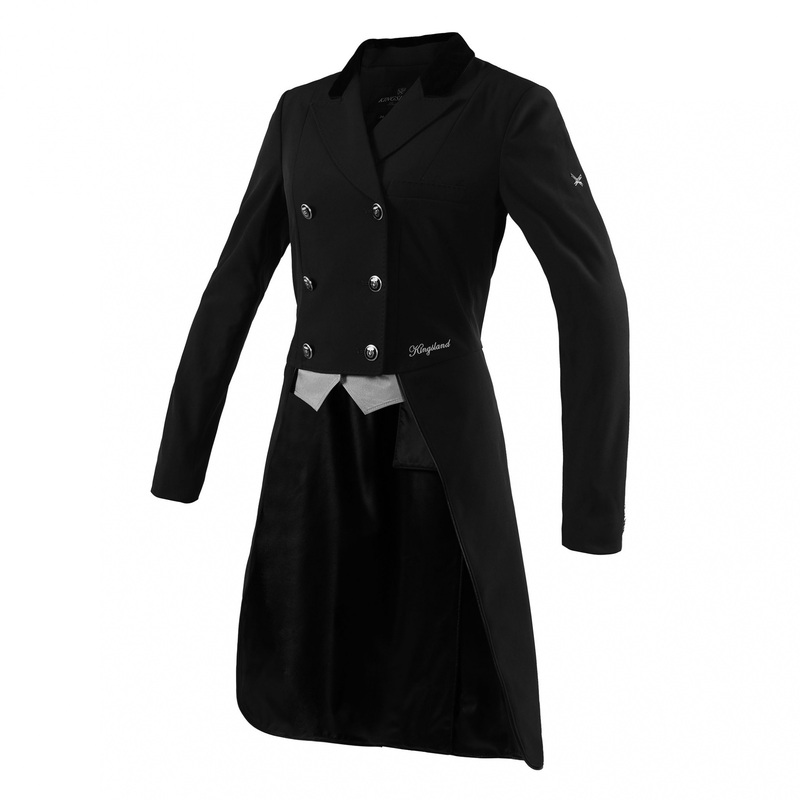 Long, exceptionally elegant ladies' dressage show jacket. It is made of softshell (94% polyester), which guarantees wrinkles resistance and maximal comfort of use. It beautifully fit to the body. Waterproof and breathable. The jacket is fastened with buttons signed with Charlotte Dujardin's initials. 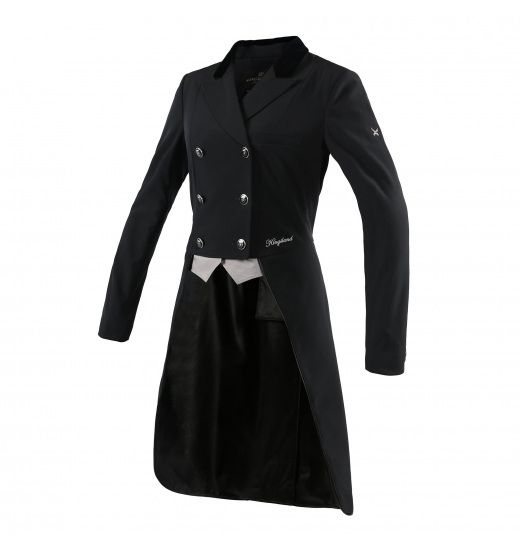 It's decorated with silver inserts, Kingsland writing and buttons of cuffs. It also has a little silver cross on the left sleeve.